Broke glass and lost housing for driver's side view mirror--any non-expensive options? Nope! Complete mirror assembly will be required. More on this: the parts list shows two possible mirror assemblies: telescoping and non-telescoping. I didn't know that C-MAXes have telescoping mirrors--how do I know if mine does? It's not telescoping. 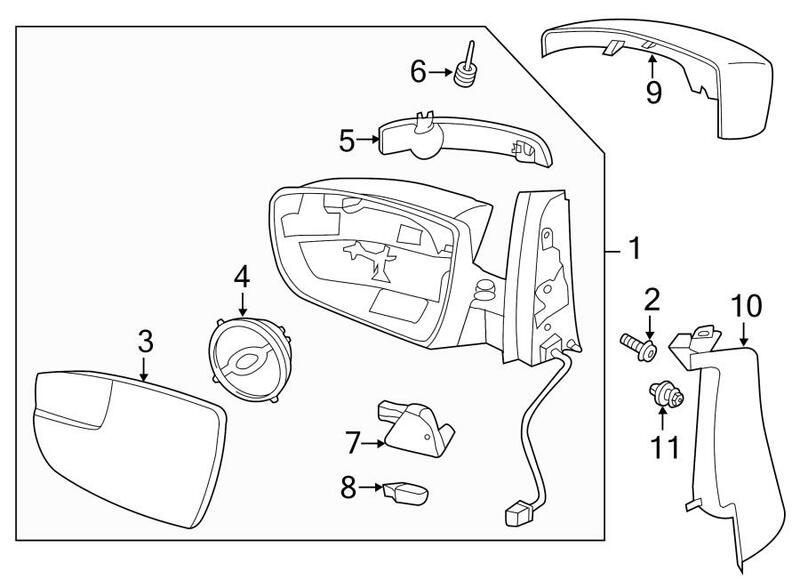 If the outer shell housing is damaged (isn't that what you said) you'll need a new mirror assembly. IF the housing isn't broken and the pivot isn't damaged, the parts you broke should be available to repair it. You might need to get the body color cover painted if it's not available to match. Edited by drdiesel1, 28 August 2015 - 07:14 AM. Why not try and pick up a used mirror from a salvage yard? Try this link and search for 2013-2015 models. A lot of mirrors, and some even in your color. Edited by ls973800, 28 August 2015 - 05:13 PM.